Should You Wear Colored Contact Lenses? Jun 27 • Lifestyle • 1318 Views • Comments Off on Should You Wear Colored Contact Lenses? 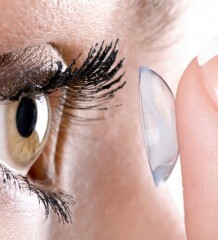 Colored contact lenses can be worn for function or fashion, or a combination of the two. If you’ve always wondered what it would be like to don a different shade of eyes, colored contacts are your chance to experiment. 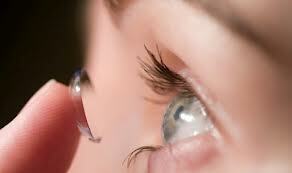 If you don’t naturally need contact lenses, however, there are some downsides to these lenses. And, of course, switching out colors will wind up costing you more money. Here are some pros and cons to colored lenses and how to match them with your skin tone. You can introduce more variety in your day to day look with colored contacts. They are a way to keep people guessing about your eye color each day, and they can give you a sense of freedom for your overall look. You can either wear your colored contacts for long stretches of time before you swap them out, or just break out colored lenses for special occasions like a party or wedding. Colored contacts lenses pop out at the end of the day, so they are a way to drastically change your look without actually doing anything permanent to your body. If you are seeking a way to really change your features, color lenses are certainly less expensive and traumatic to your body than going about plastic surgery or other more extreme measures. If you are accustomed to putting in contact lenses, your colored lens should not be any more uncomfortable for you to wear than regular clear lenses. However, if you are merely wearing color lenses for fun and they don’t have a vision prescription, the adjustment might be difficult. Some people have a problem touching their own eye, which will make the application process tricky. You might also notice dryness in your eyes if you don’t use the proper solution. If you are changing out your eye color more often than not, the cost of these lenses can begin to add up. Special lenses are often more expensive than clear lenses, so you are likely to see an increase in your eye care costs if you keep changing out your eye color with specialty lenses. However, if you only buy one pair of color lenses then the cost won’t be phenomenal. It can be somewhat tricky to find the right contacts for skin tone if you want the lenses to still look somewhat natural even though they’re not your real color. If you have warm undertones in your skin, such as gold or brown, then contacts in shades of green, hazel, or honey color will look most natural. If you have cool undertones, such as pale skin with blond hair, then blue and violet color contacts are a good match. Color contacts are a way to show off your personality and change your look temporarily, which can be appealing to someone of any age. Just make sure that you understand the safety implications of wearing anything in your eyes, and always keep your contacts very clean. Elizabeth Garvey has a passion for fashion. Her writing is frequently found on fashion and style blogs. Click visit NextDayLenses to get more information.